We’ve all made the resolution, the birthday declaration or promised the doctor that we will be healthier, go to the gym and cut back on the snacks. But how do we actually start? The answer to this question is what Judy Fischer, owner of My Diabetes Dietitian, does every day. With 25 years of experience in nutrition therapy and behavior change strategies, Fischer developed an enduring passion for educating people who are looking to change their health habits. Whether out of personal ambition, or a health-related necessity, My Diabetes Dietitian provides nutritional counseling to help patients who are ready for a new start. 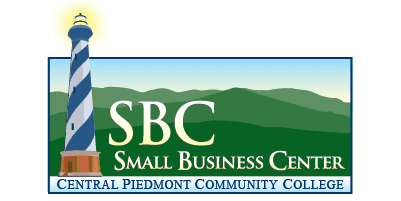 With two convenient locations in Matthews and Huntersville, it’s available to Charlotte area residents and businesses that are seeking guidance to improve their health. In this spotlight, Judy shares how she’s continued to grow My Diabetes Dietitian through location expansion and service diversity. Enjoy! CBR: What inspired you to pursue a career in health and nutrition? Judy Fischer (JF): Initially I was the sole practitioner of the business and my specialty was not limited to, but had a strong basis in diabetes education. CBR: Do you specialize in diabetic diets, or do you offer nutrition services for everyone? JF: The practice has grown, and we now have five additional Registered Dietitians with their own specialties and interests including cardiac, sports nutrition, pediatrics, nutrition support, and gastrointestinal nutrition. CBR: What type of coverage do insurance companies typically offer for your services? JF: My Diabetes Dietitian is in network with all the major insurance companies including Medicare, Humana, BCBS, Cigna, Aetna and UnitedHealth. Unfortunately, Tricare (Military Insurance) does not cover nutrition services, so My Diabetes Dietitian has decided to give those folks a 50% discount for first visit to honor our veterans. Locally, a lot our Charlotte businesses have 100% insurance coverage including employees for City of Charlotte, Novant Health, Wells Fargo, BB&T and many more. CBR: Are all of your nutritionists certified? JF: All our Registered Dietitians are credentialed and licensed in the State of North Carolina. CBR: Do you have services for group nutrition and individuals? JF: My Diabetes Dietitian has three service lines. Corporate Nutrition: We provide RD services on site to corporations to counsel employees to improve health and wellness. In addition, lunch and learns, group classes and yoga are also provided on request. 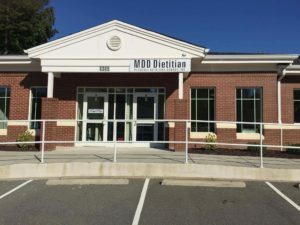 Physician Services: My Diabetes Dietitian can provided an RD at a physician practice to counsel patients on site at their office location or at our Matthews and Huntersville offices. Self – Referred Individual Nutrition Services: My Diabetes Dietitian provides personalized nutrition education and meal planning services to any member of the community. CBR: Do you network with physicians to manage referrals? JF: We do network with all physicians to manage referrals and have an open communication process for improved patient care. CBR: You have expanded to your second location. Can you share any lessons you learned or advice to other business owners who are looking to expand? JF: A few years ago, we opened our second location in Huntersville, NC. One strong lesson we learned was to ensure there is a need that is not being met in the community and resources for support. Before we opened the second office, we tried another location, however local support was not there. CBR: If you could give one piece of advice to an aspiring entrepreneur, what would you say? With MDD as a resource, making healthier choices can be as easy as visiting one of the two convenient locations. Ask your doctor if visiting My Diabetes Dietitian can help with a recent diagnosis, or if you are thinking about making good on those resolutions and becoming healthier in 2018. Visit https://mddhelp.com/ for more information. VIDEO BONUS! Watch now as Judy discusses how to keep your family safe from pre-diabetes!